Deliveroo, the global on-demand food delivery service, has announced a $275 million Series E investment, led by Bridgepoint, existing investor DST Global, and General Catalyst with participation from existing investor Greenoaks Capital. Since its Series D round in November, Deliveroo has achieved over 400% growth and reached profitability in a number of its established markets. It has also launched in 29 new cities, added an additional 9,000 new restaurant partners, and created opportunities for 6,500 riders, all while continuing to improve its already strong customer retention rates and maintaining a 30 minute average delivery time. 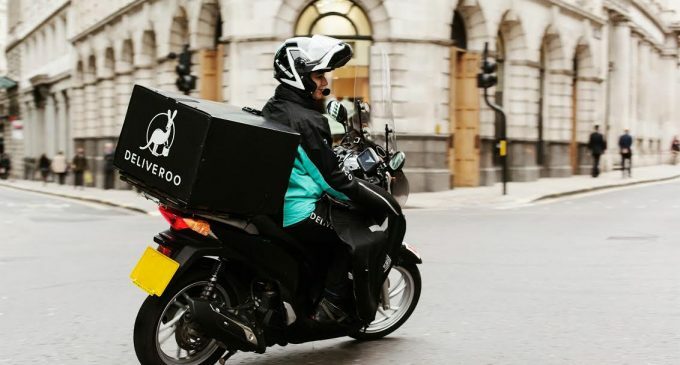 Deliveroo has also hit key milestones such as expanding its service to cover breakfast, express lunch, alcohol and corporate ordering, and striking deals with major partners such as PizzaExpress. The new funds will be used to expand the service in both new and existing markets, as well as provide further investment in projects such as RooBox, a pioneering remote kitchen initiative. RooBox gives restaurants access to delivery-only kitchens in key locations, accelerating geographic expansion. The company, which was founded in 2013 by Will Shu and Greg Orlowski, seeks to change the way the world thinks about food delivery. Deliveroo works with world-class brands and great independent restaurants to provide customers with the best possible food delivery experience. Deliveroo is headquartered in London and operates in 84 cities across 12 countries.